The EU has already said it will announce countermeasures against Trump's metals tariffs on July 1. Trump departed early from the Quebec meeting Saturday to head to Singapore for his summit with North Korea's leader Kim Jong Un. Soon afterwards, Trump rejected in a series of angry tweets from Air Force One the text of a G7 consensus statement -- traditionally a paean to shared Western values and objectives under American leadership. Asked about Trump's threat to target US tariffs against cars -- a vital industry for Germany which supports over 800,000 jobs -- "we will have to think again about what we'll do," Merkel said. Meanwhile, Merkel brushed aside Trump's suggestion that Russia should be readmitted to the group of the world's leading economies. 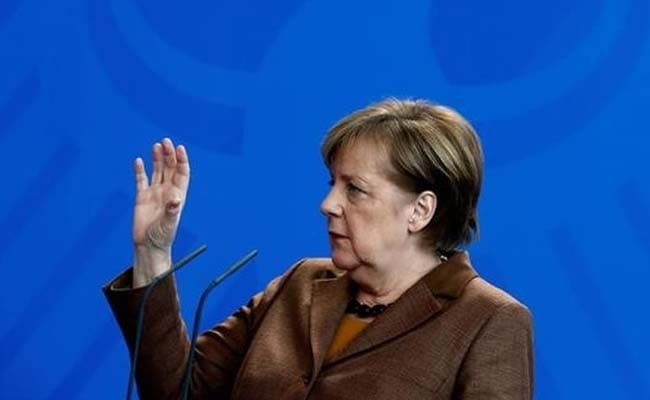 "We need Russia for disarmament talks" and for discussions about both Ukraine and Syria, Merkel said. "There is no question about that." But "I understand the G7 to be a group for countries that have shared principles," she added. Looking ahead to the next major diplomatic encounter with Trump -- a meeting of NATO alliance leaders in July -- "it won't be easy", Merkel said.